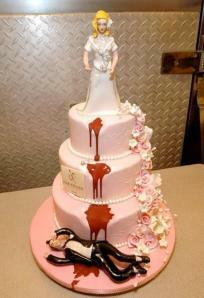 Number 5: People joke about wives and husbands arguing all of the time… but depicting his death on the wedding cake? 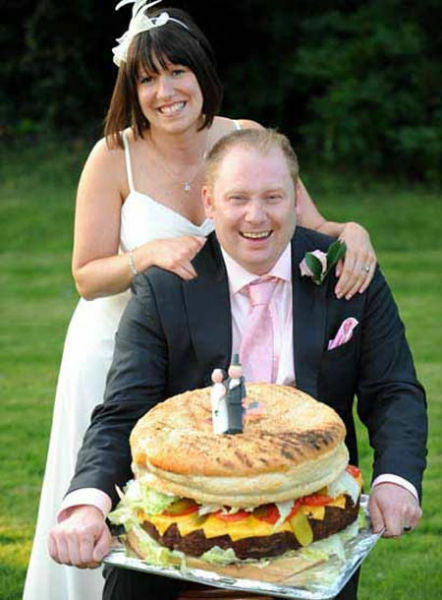 That may be taking it too far! Number 4: Hello Kitty fans are everywhere. Most have some Hello Kitty pajamas, a few pencils, and maybe a Hello Kitty bumper sticker on their car. 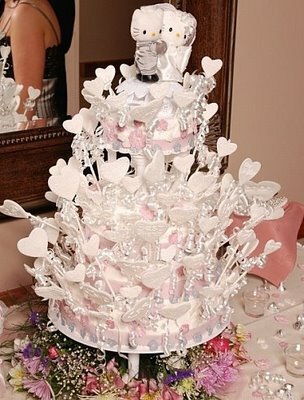 This fan has an entire Hello Kitty wedding cake. 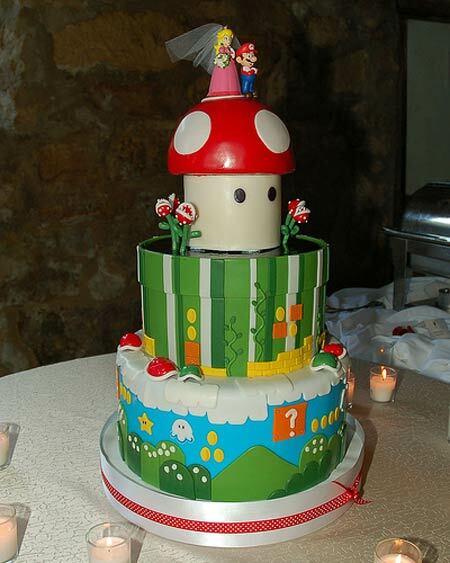 Number 3: We really hope they remembered to pack Super Mario in their honeymoon suitcase! 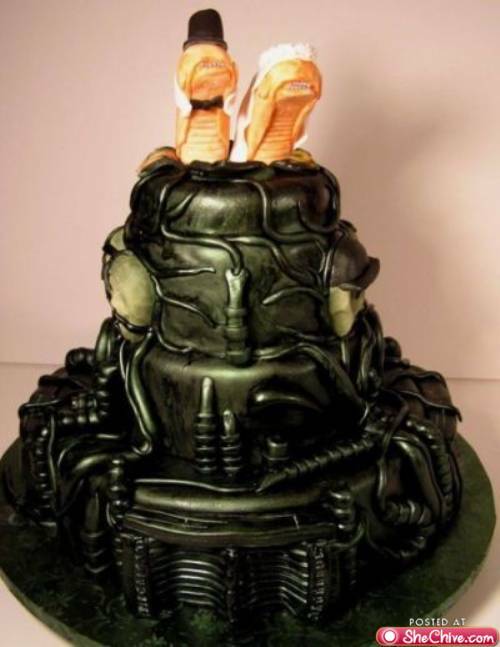 Number 2: This would have been the number one strangest cake… but since we were not quite sure what it was, we decided to place it second.